Jordan Air Jordan 4 Retro GG "Monsoon Blue"
Releasing exclusively in kids sizing, the Air Jordan 4 Retro GG "Monsoon Blue" sports a shimmering iridescent upper while a dark blue hue is used to color the heel tab, tongue, and liner. Additional details include the mesh cage, triangular straps, and laces featuring a faint purple, while a white midsole and translucent purple outsole caps off the look. Release date is Apr. 6, 2019 at a retail price of $150. 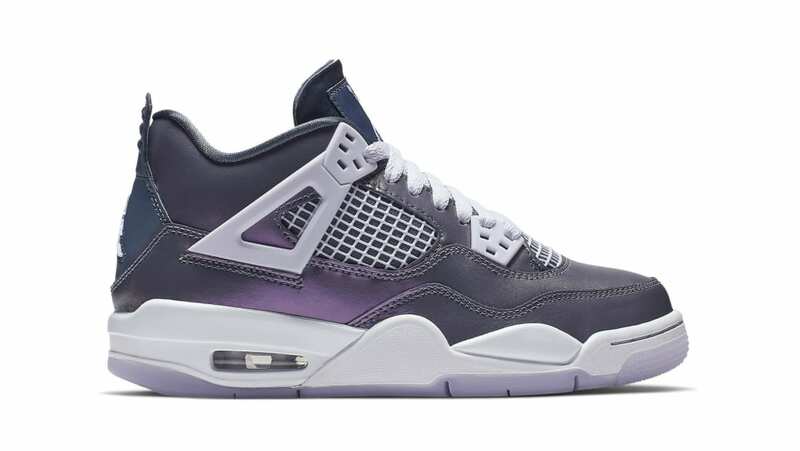 News Air Jordan 4 Retro GG "Monsoon Blue"